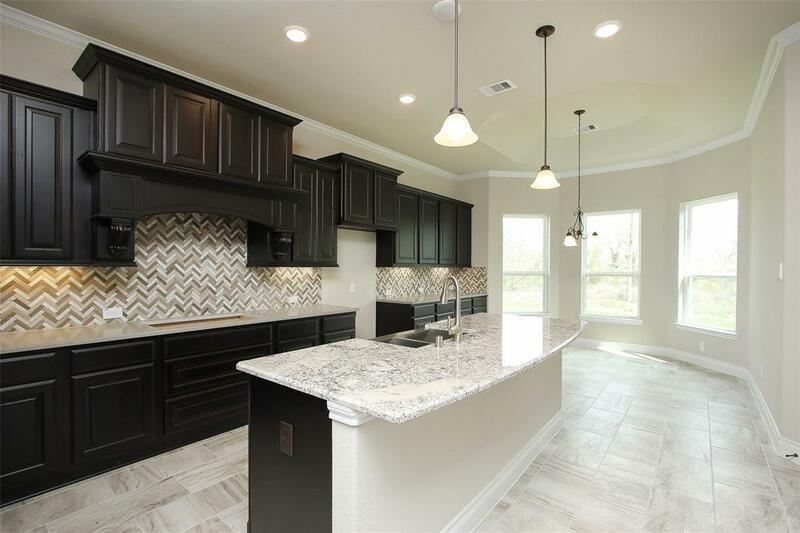 2-story spacious home with gourmet kitchen including stainless farm sink, built-in stainless Whirlpool appliances, and walk-in pantry. 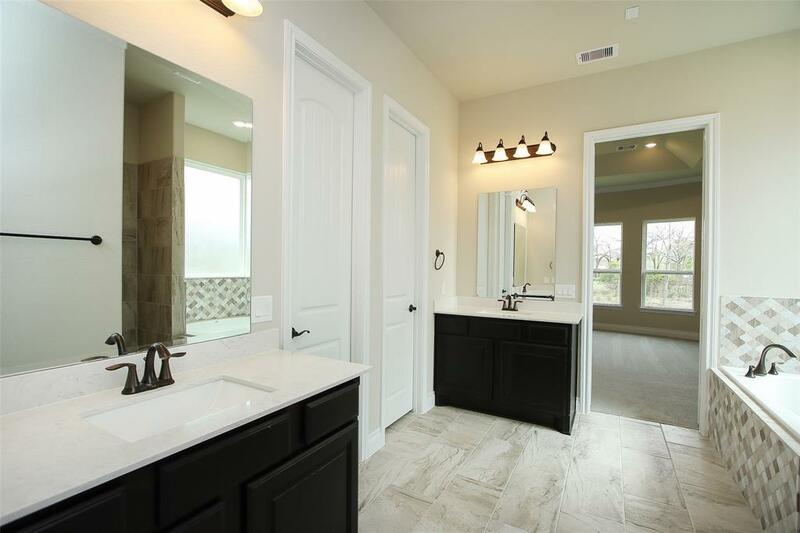 Master suite features his & hers granite topped vanities, oversized garden tub, walk-in shower, and two closets. Plan also has butlers pantry, formal dining, and study. Three additional bedrooms, two baths, and play space up. 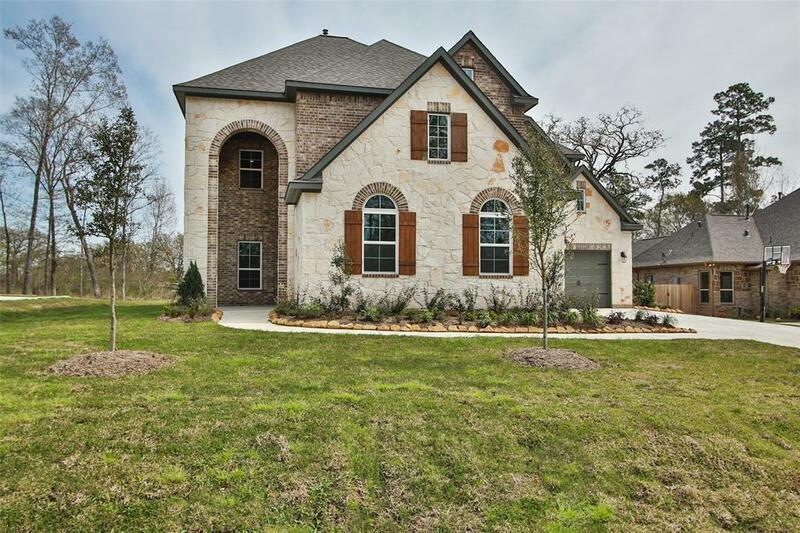 Decorator details include an oversized cook-top surround with pull-out spice racks, wood flooring in several rooms, and cedar beams in study & dining. 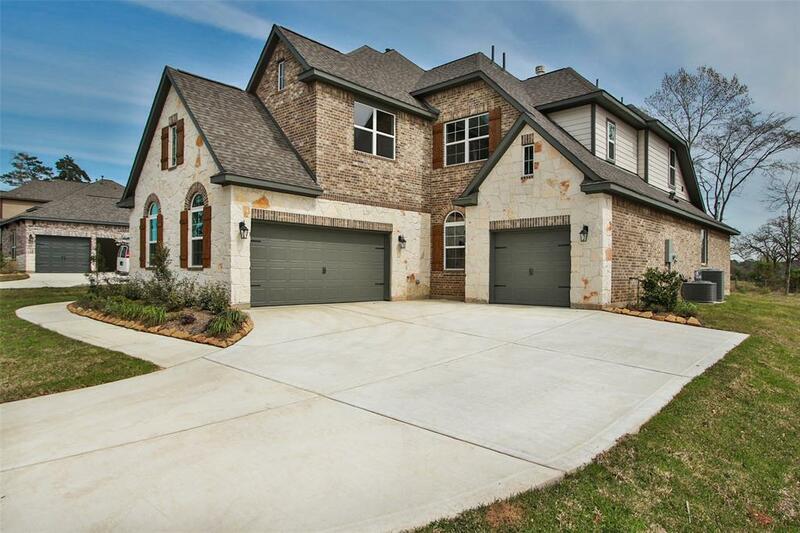 Completing the home is a split three car garage and covered porches.